The very moment I'm in the process of brainstorming a new blog post I aim for relevance, level of interest, personal experience and what our target audience is looking for. Always analyze your ideas from all angles! What topics are going to generate views yet, empower the reader? It hasn't always come naturally! In fact, in the midst of strategizing each post I've came upon several moments where I debated whether anyone would remotely read what I had to say. I constantly questioned if blogging was a complete utter waste of time. When you take on the chore to blog for your business you're not simply writing about anything. You are giving the public a reason to visit your website. You must deliver insight, awareness and knowledge on a subject relevant to your reader that's beneficial to their needs. Keyword, BENEFIT. But, is blogging only about the reader? What about you? How is writing about different topics even benefiting your business? Well, listen up. 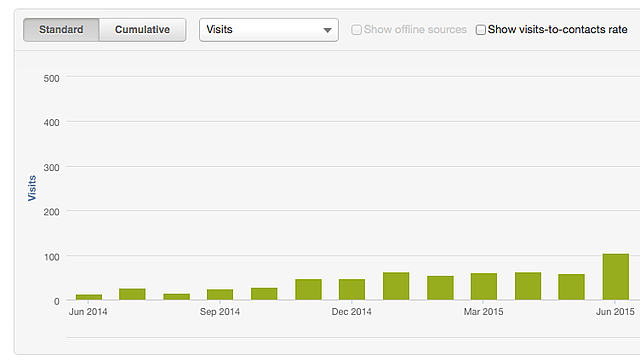 I can honestly share with you that blogging perpetually works. 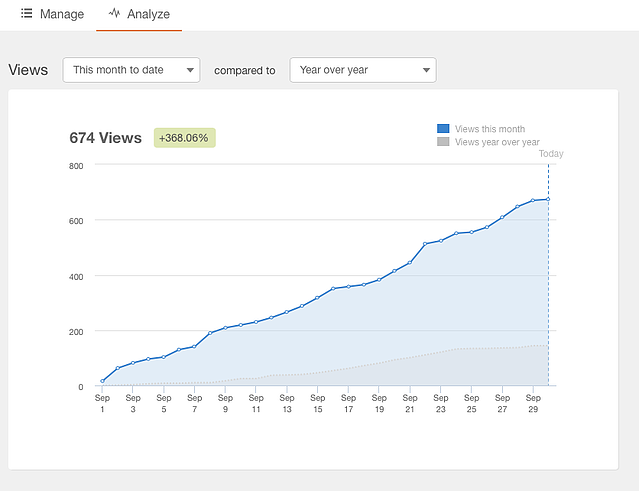 After several months of contributing our efforts I noticed our views began to increase. Comparing our daily metrics became an obsession. What can I say? It's exciting to recognize our progress and acknowledge the fact it pays off. Allow me to just point out, we only experienced a decline in views when we stopped posting consistently. Just take a look at our numbers below along with the statistics to prove its worth! Here are the benefits of blogging and 3 simple reasons why blogging works. Learn how to streamline your website redesign process with this 11-Step Checklist today! 1.) Increases Website Traffic - If you have a minimal amount of daily website visitors and in search for a boost, I've said it once and I'll continue to say it again: BLOG! It was found that companies who blog have 55% more website visitors. Lets say you add between 21 and 51 posts to your site you could receive a traffic boost by up to 30%. When you add a minimum of 52 posts your web traffic could increase by 77% (Business2Community). Now, onto reviewing our numbers. This photo supports our results in website traffic. Between June of 2014 to September 2016 our visits have flucuated. Why? In the periods we experienced a decline are also the periods we weren't posting regularly. Catch my drift? Looking at the photo shown below, lets take a closer look at September of 2016. 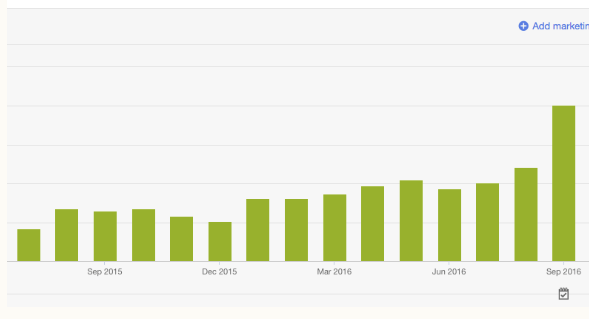 Comparing from exactly a year ago our blogging performance has increased by a whooping 368%! 2.) Gain Leads - It was found that more than half of brands who blog once a month earned a new customer. 126% of small businesses receive more lead growth than those who don't. B2B Marketers generate 67% more leads than those who don't. 76% of B2B marketers are using blogs to attract new customers (Business2Community). Rewinding back to the very last sentence, "blogs attract new customers." Have I ever mentioned it's also an opportunity to add a call to action? 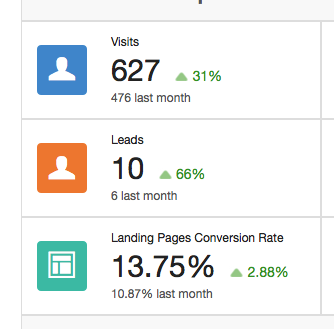 According to our report we had a 66% increase in leads in the last 6 months! WIth every CTA is an open door for a new lead. 3.) Helps with SEO - 95% of businesses with a blog reported higher search ranks. 97% of websites have more indexed links and have an astonishing 434% more indexed pages (Business2Community). We believe it! Below is another piece of evidence showing from June of 2014 to September 2016 our organic search has increased dramatically. Keywords are spectacular and knowing where they rank is gold. 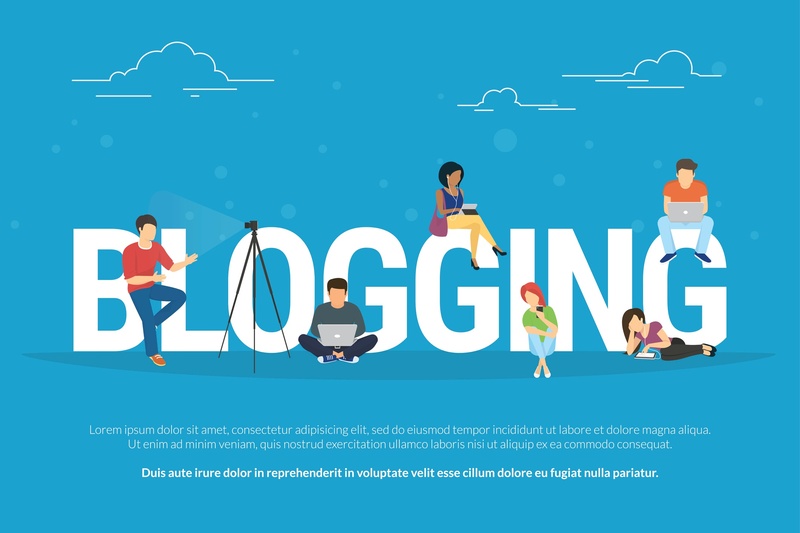 One of the best benefits of blogging is optimizing your post because besides the fact you want more visitors, you want people searching for the topic you're blogging about as well. I can understand that not everyone has the perfect level of writing skills or lacks the amount of time to dedicate to a blog page, however, there are many resources to help you along the way! You can come up with a million different excuses why blogging just isn't for you, but these numbers don't lie! These are perfectly great reasons to start a blog. You're just several posts away of gaining your next lead, which is where it all boils down to. Would you rather ignore this opportunity? Or act upon it? Your call, folks. In need of quality website? Leave it to the professionals and contact us here for more information. Learn more about the industries we've worked in here.